I haven’t posted anything in months and I recently realised why. I simply hadn’t been in the mood. I was very unhappy at my previous job because of my ‘manager’ and for months this unhappiness plagued my mind – not just at work – but in my private life too. I am happy to report that I have started a new role at a great company and I am miles and miles away from said ‘manager’. And what better time for this massive change in my life to occur than in Spring – where new growth in plants is almost symbolic, in parallel, to my personal experiences to date. What better way to celebrate this new beginning for myself with another new beginning in my garden – my Lady’s Finger Banana plant is about to flower. How do I know? 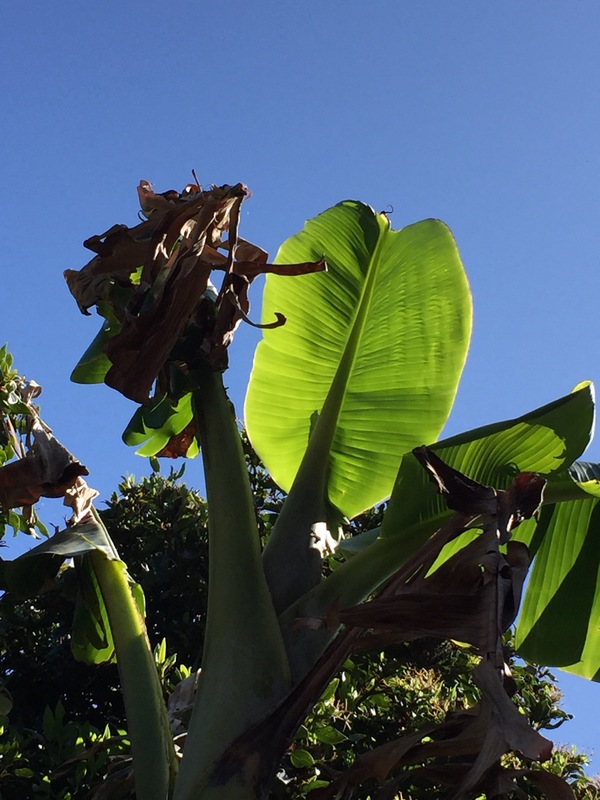 Well, just before a banana plant is about to flower (and subsequently produce bananas), it sends out what is commonly known as a ‘flag’ or ‘signal’ leaf – its really a mini version of the very long main leaves it sends out whilst it is growing. As you can see from the picture below, the signal leaf has fully formed. I must confess though that this picture was taken about a week ago. Since then the flower has emerged – I will update with more pictures in the coming days. This is a flag leaf produced by a banana plant just as it is about to flower.